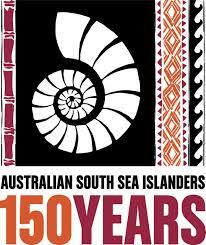 2013 marks 150 years since the first South Sea Islanders were brought to Australia. Their Australian descendents are now officially recognised as Australian South Sea Islanders (ASSI). A consortium of ASSI, south east Queensland (SEQ) local government and cultural organisation representatives organised a number events and projects to acknowledge the ASSI people and promote their unique culture, hidden and difficult heritage and valuable contribution. Gleneagle on the northern boundary of the Scenic Rim is of great significance in these commemorations. The ‘This Is Our Story’ project traced the steps of the first group of South Sea Islanders who were brought to the Townsvale Cotton Plantation (occupying parts of the locations of Gleneagle, Veresdale and Woodhill) as indentured labourers in August 1863 and their connections to the Beaudesert district and the people who live here today. 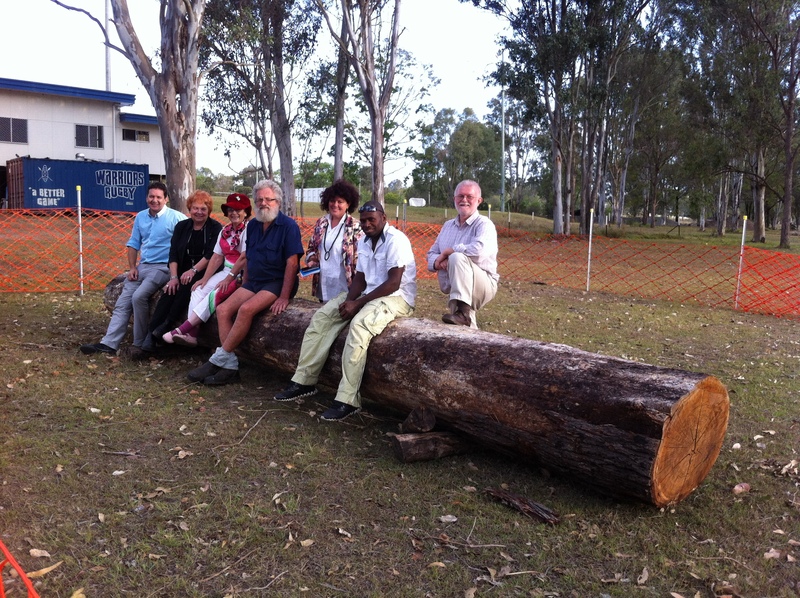 A five-metre high sculpture is being created to commemorate and celebrate this shared history of ASSI, the Mununjali community and landholders past and present of the Gleneagle and Veresdale areas. 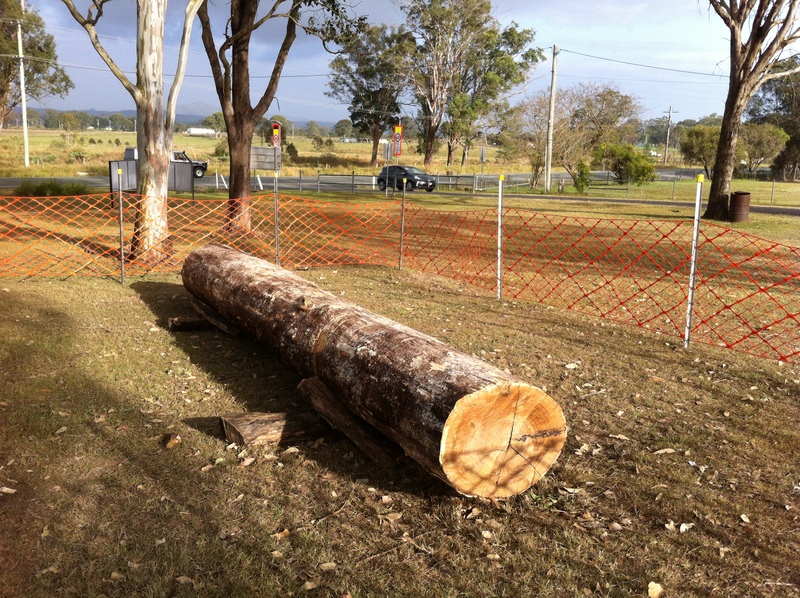 As part of Scenic Rim Regional Council’s artist-in-residence program BADCAP has commissioned internationally recognised artist Kakae Pakoa to transform a fallen two-tonne Ironbark log into an imposing piece of installation art at Everdell Park, Gleneagle. BADCAP have worked in partnership with Scenic Rim Regional Council to develop the project as a permanent reminder of the historic connection between the Scenic Rim region and the arrival of the first South Sea Islanders to the area as indentured labourers 150 years ago, commemorated during ASSI 150 events during August 2013. The log itself is estimated to be 200 years old, predating the arrival of these first labourers to work on the Townsvale cotton plantation by some 50 years. 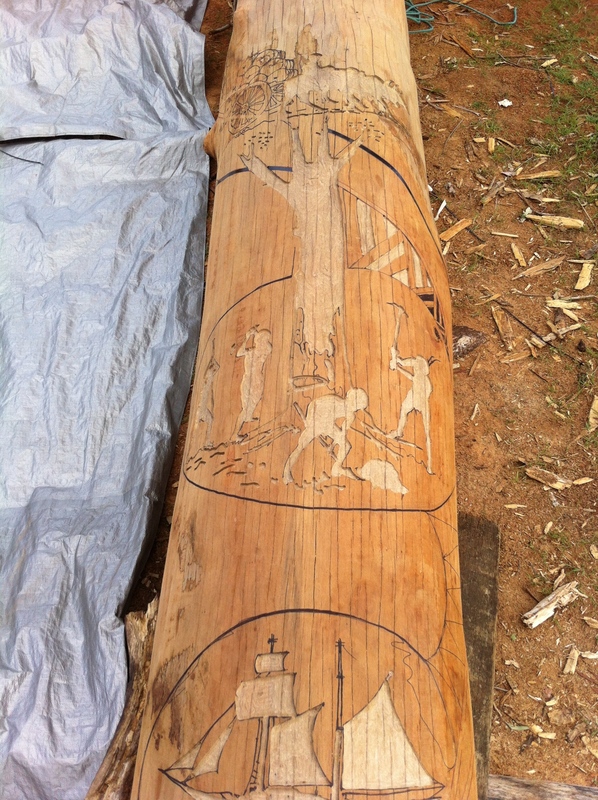 Over December 2013 – January 2014, Kakae carved and engraved depictions of the ASSI cultural and historic experience into the log. The completed artwork will be set in an upright position, surrounded by a large stone meeting circle. This important initiative has been funded by Scenic Rim Regional Council and Arts Queensland through the Regional Arts Development Fund.